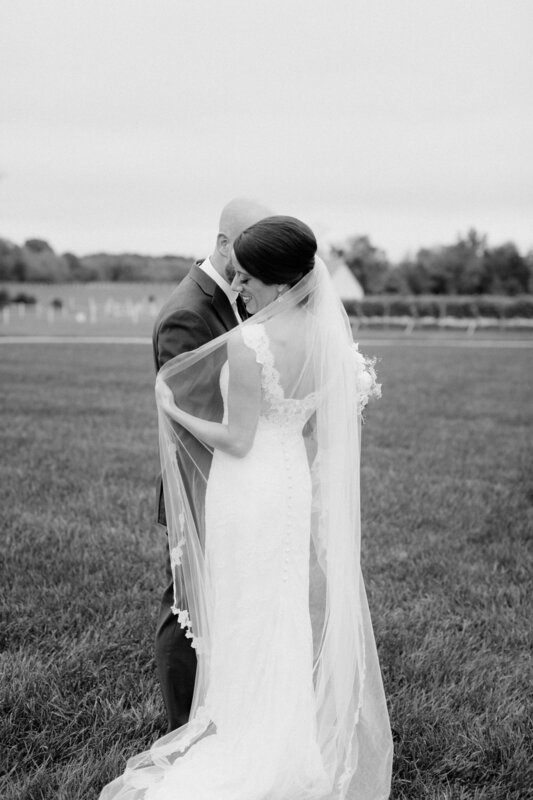 So happy to share Amanda and Chris' wedding at Upper Shirley Vineyards. 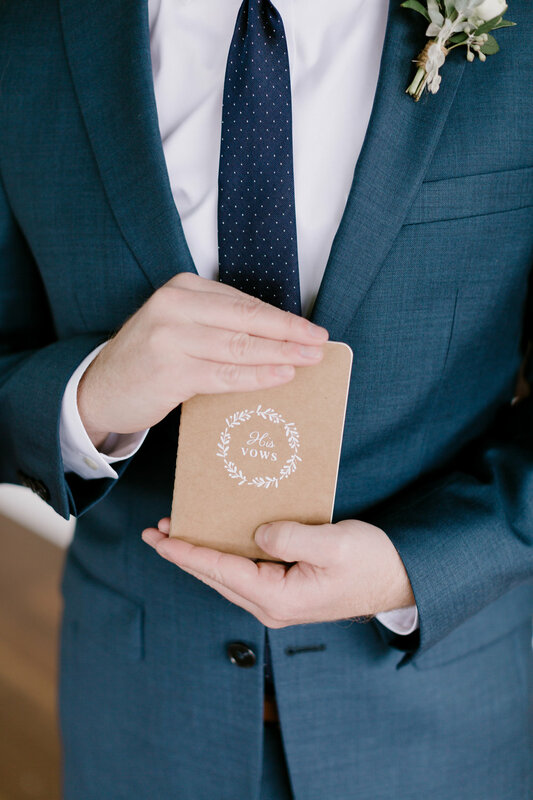 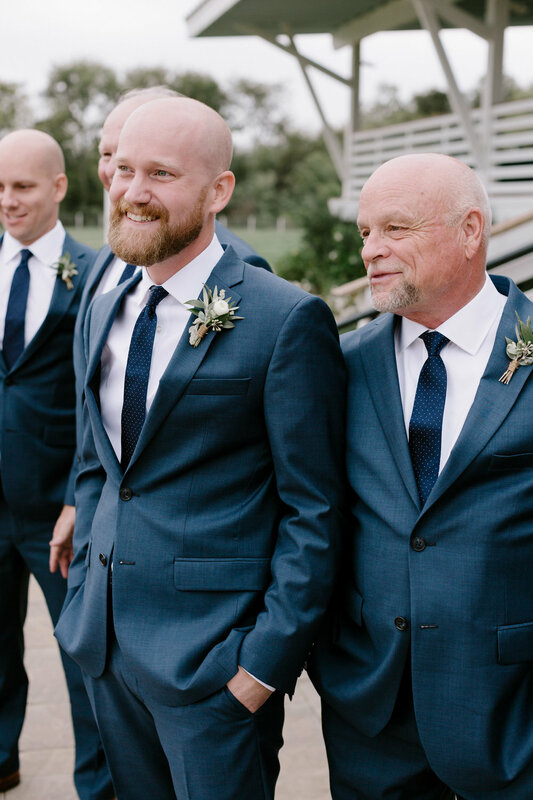 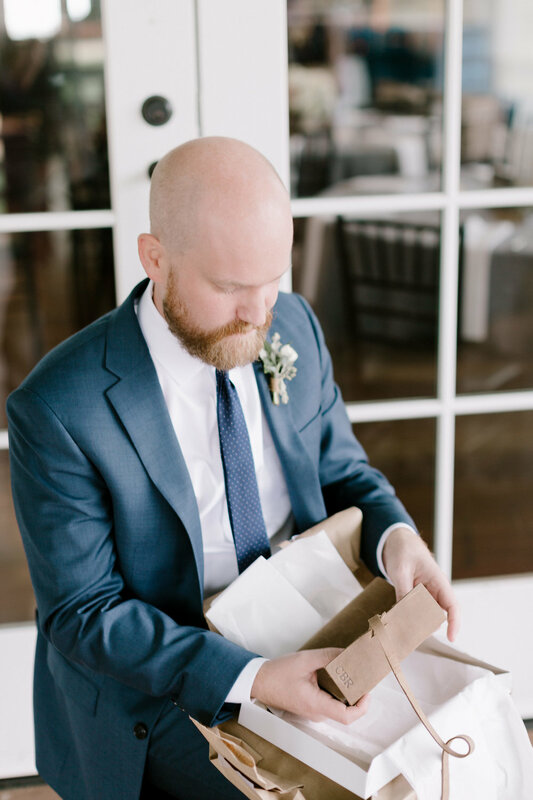 The celebration was exquisitely planned by The Hive Wedding Collective, and captured by David Able Photography. 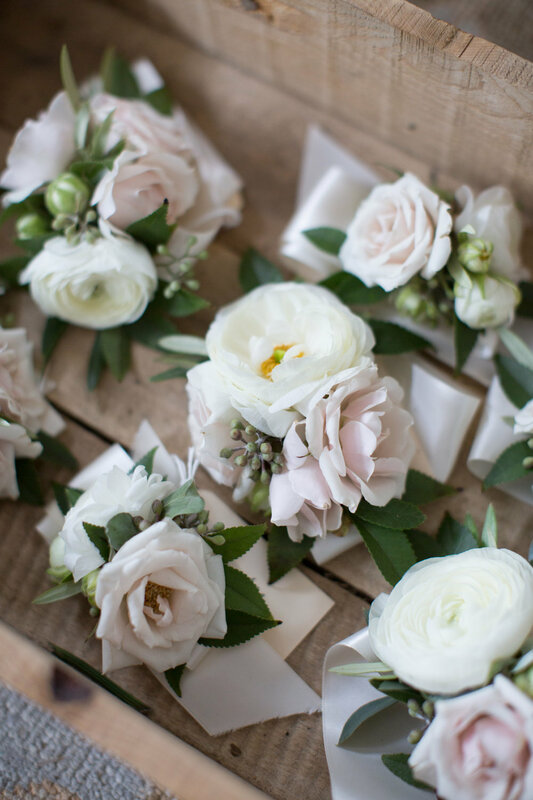 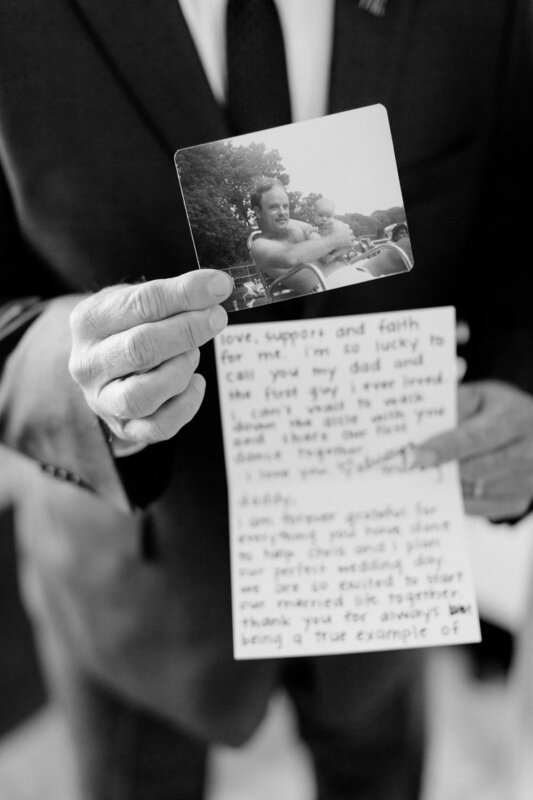 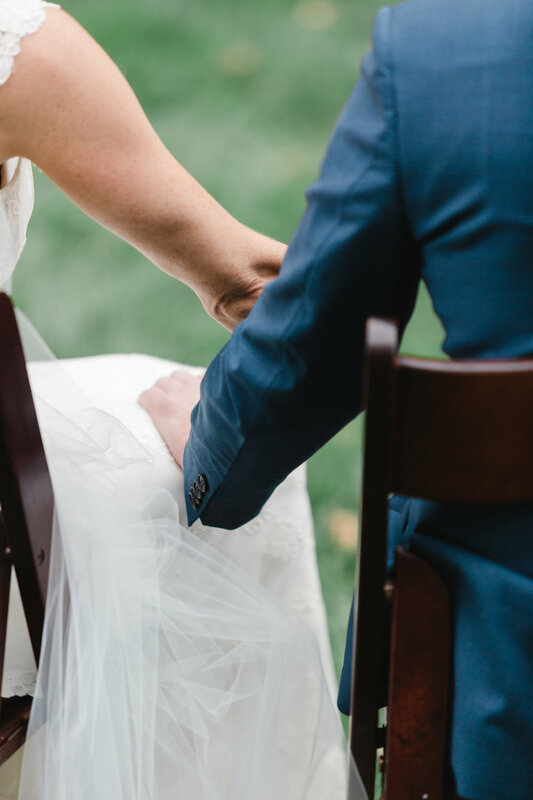 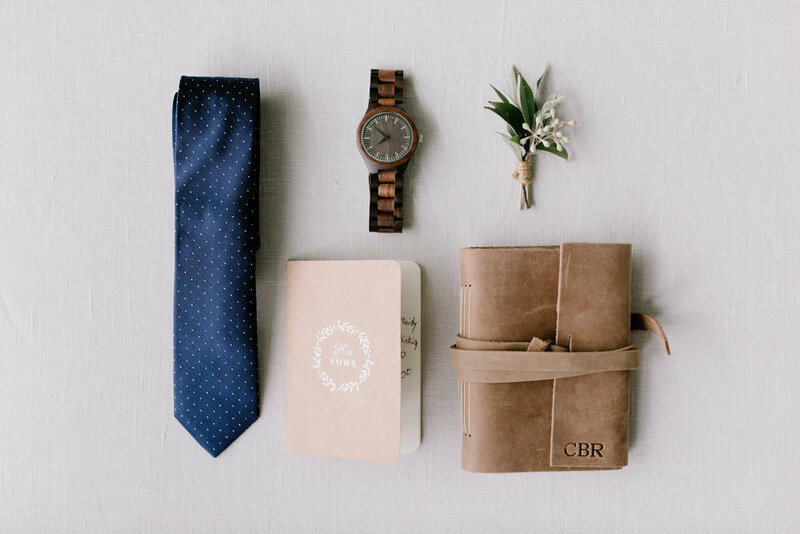 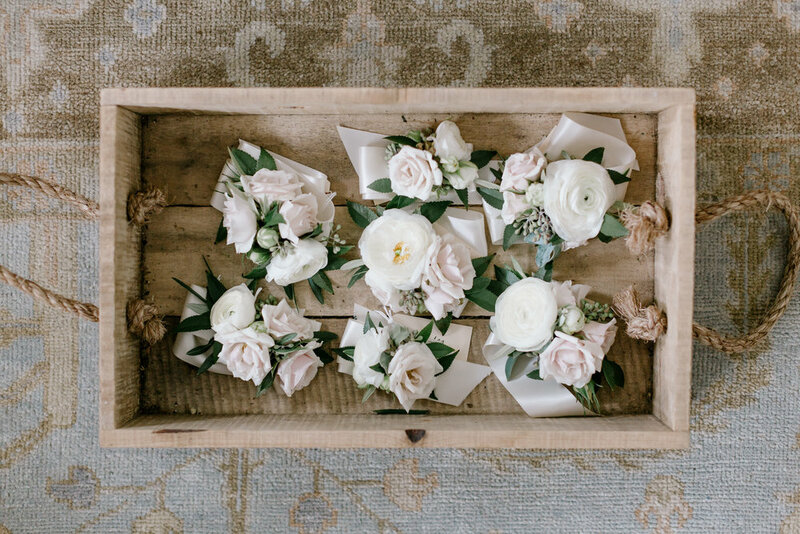 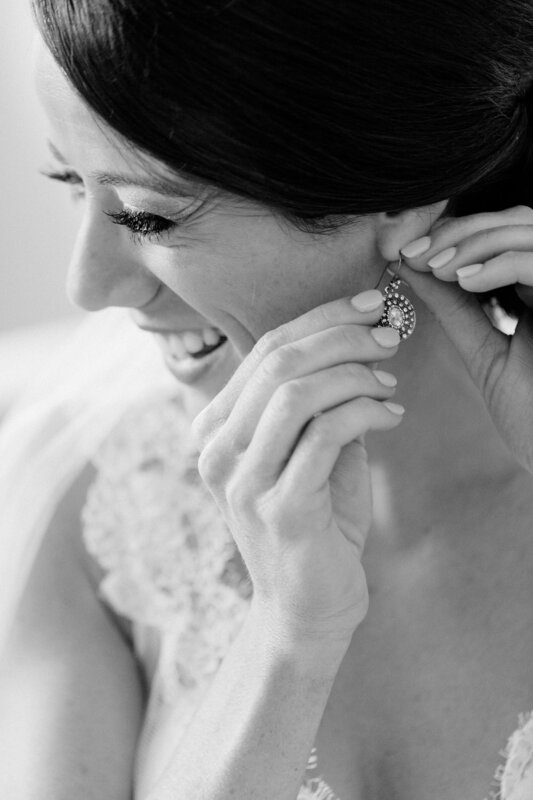 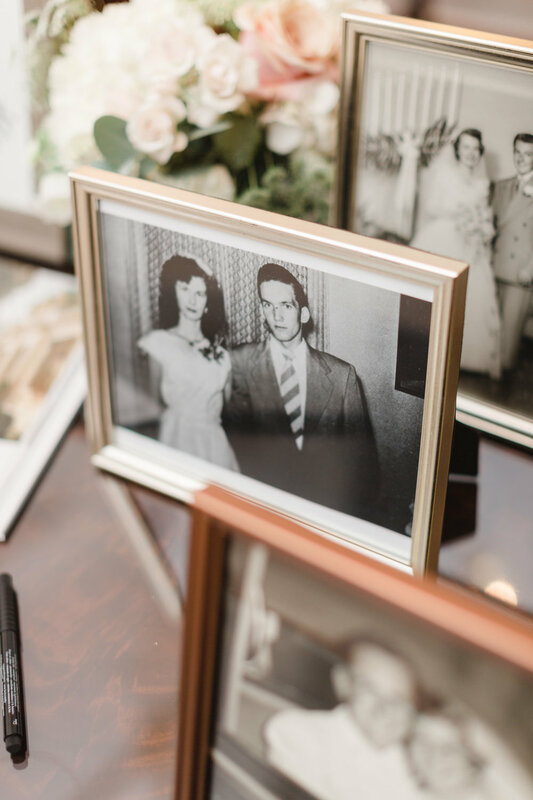 Amanda and Chris wanted an effortlessly elegant event, with a bit of rustic charm. 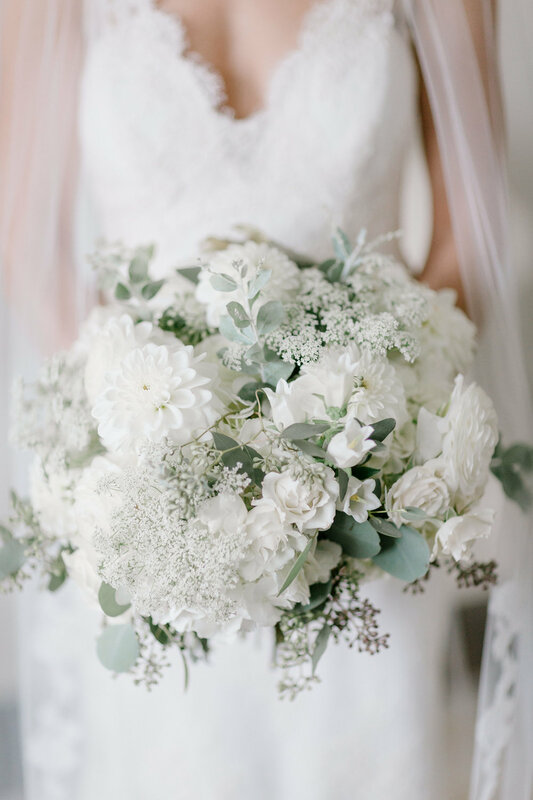 To complement the intricate lacework on her gown, we added some texture to Amanda's silvery green and white bouquet with delicate queen anne's lace and seeded eucalyptus. 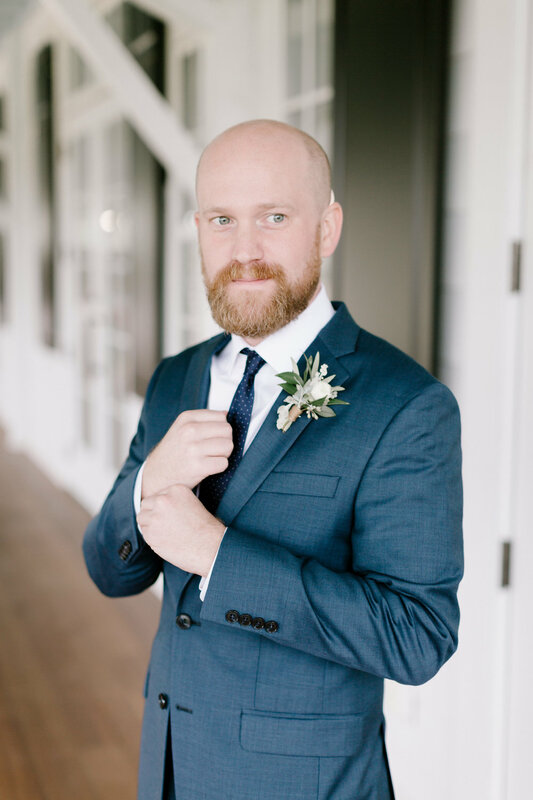 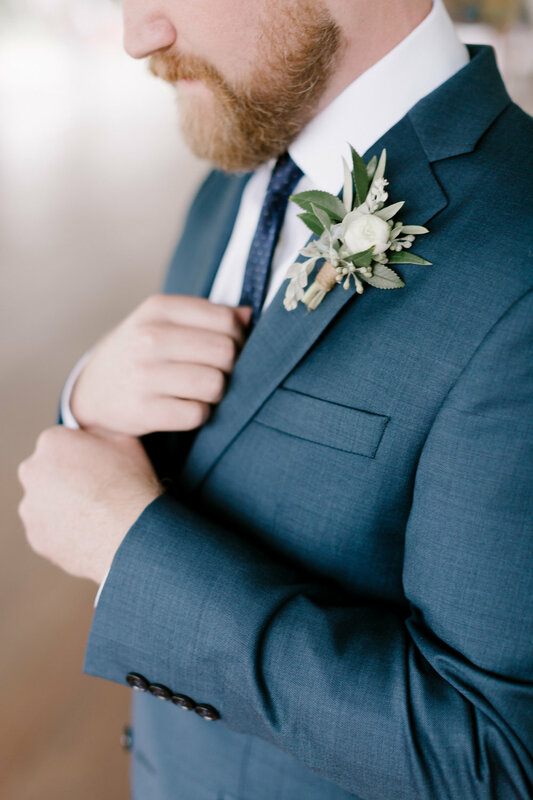 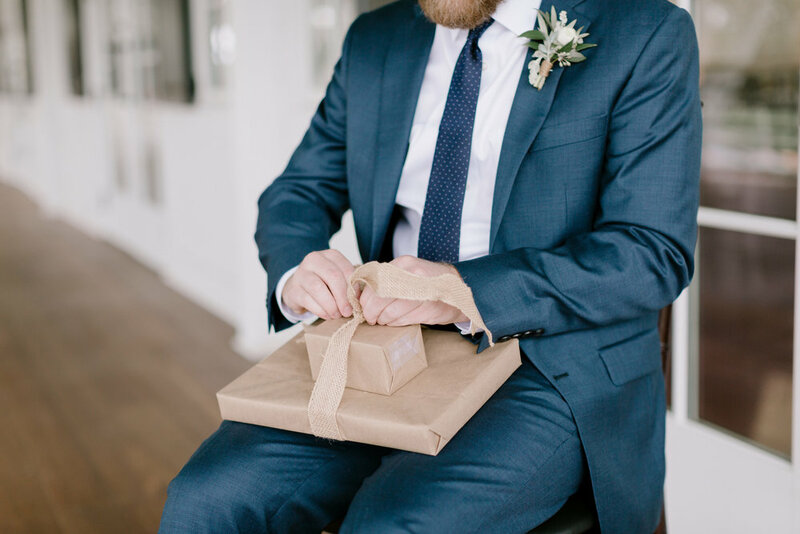 Chris' simple and sweet boutonnière featured a single ranunculus bud, and was finished with twine for another rustic touch. 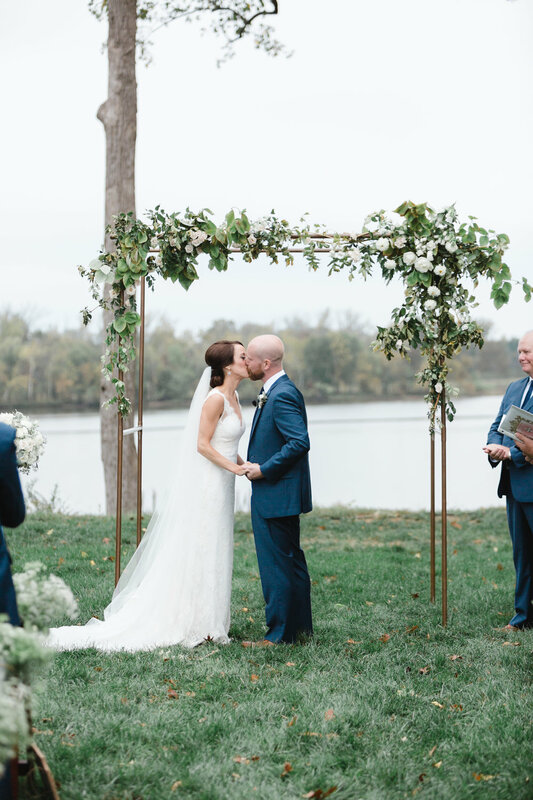 Their ceremony overlooked the river and had a simple arbor to add a focal point to the gorgeous backdrop.